The Cherry Hill Police Department’s 9-1-1 call center answered more than 1,400 telephone calls between the hours of 6 p.m. Tuesday, June 23, and 3 p.m. Wednesday, June 24. 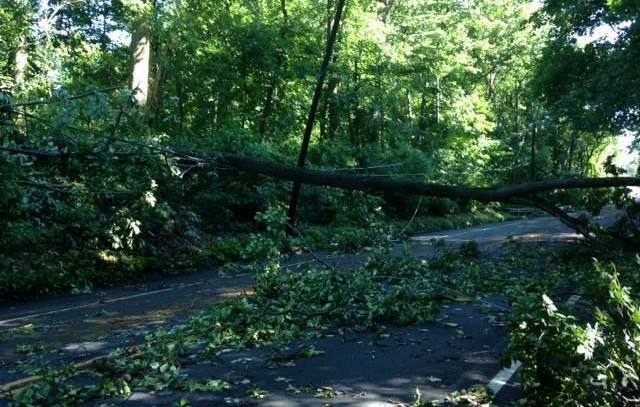 Cherry Hill Police officers responded to approximately 500 calls for service during and after Tuesday’s storm. The Cherry Hill Fire Department responded to approximately 100 calls for service during the same time period. The Department of Public Works has been working around-the-clock since the storm’s onset to remove downed trees, branches and other debris and make local roads safe for travel. As of 5 p.m., approximately 100 trees had been removed. Those that have not been cleared are tangled in power lines and awaiting service from PSE&G. A number of areas across the Township remain without power, and local emergency responders are working closely to assist PSE&G with restoration efforts. If you need to report a power outage, or if you receive a restoration message but still do not have power, you must contact PSE&G directly by calling (800) 436-7734, or by texting OUT to 47734. To receive outage updates sent directly to your cell phone, text REG to 47734. You will need your PSE&G account number to get started. Several roads remain closed, and traffic signals are out of service in multiple locations. Temporary stop signs have been put into place; please abide by these stop signs and other traffic laws, and do not drive through any of the barriers. Power lines and falling trees are extremely dangerous. We ask that you remain patient, use caution, and extend courtesy to other drivers. Current road closures can be found on the Cherry Hill Police Department’s Facebook page. Please continue to monitor the Cherry Hill Township, Police and Fire social media pages for updates on road closures and other important information as it becomes become available. Please do not call 9-1-1 unless it is a life-threatening emergency; to report downed trees or power lines, or another non-life-threatening issue, call (856) 665-1200. Thank you for your continued patience and cooperation as we work to assess damage and clean up from this powerful storm.